Last week the United Nations Development Programme (UNDP) published the 2013 edition of its flagship annual publication, The Human Development Report (watch an animated summary here). Since its launch in 1990 this contribution to orthodox thinking on international development has played an important role in shifting attention away from an exclusive focus on economic measures, to a more people-centred or ‘human’ conceptualisation of development. Key to this was the introduction of the Human Development Index (HDI) which is a composite measure of development that includes life expectancy and education indicators in addition to national income. What is interesting about the 2013 report is its attempt to influence the debate on the more theoretical understandings of how to achieve development, rather than offering alternative ways of measuring it. 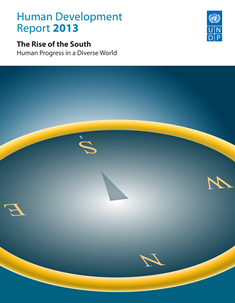 The title of this year’s report is The Rise of the South. A developmental state that has been vitally important in regulating markets, supporting industrial development, and directing the terms of their engagement with the global economy. The state has also played an important role in investing in health, education and other public services. Engagement with global markets has been gradual and facilitated by state support. The notion of a ‘one-size-fits-all’ development strategy is dismissed within the report as both unrealistic and ineffective. Instead there is an emphasis on the flexibility and pragmatism that has been central to the approach adopted by many countries in the global South. The report does acknowledge that, despite such advances, concerns remain over levels of inequality and questions of sustainability, and that both have the potential to undermine much of the progress that has been achieved. Although there is some discussion of the need for countries in the global South to have greater representation in the key international financial institutions, the report focuses in the main on the domestic obstacles to development. UNDP’s acknowledgement of the important role that developmental states can play is clearly a move away from the days when policymakers suggested ‘there was no alternative’ to the free market as the means for the global South to achieve development. However, what the report fails to acknowledge is the structural limits within which countries in the global South have to operate. These include the continued failure to effectively regulate both transnational corporations and global financial markets and the deepening of trade liberalisation through the exponential rise of bilateral trade agreements in the last two decades. 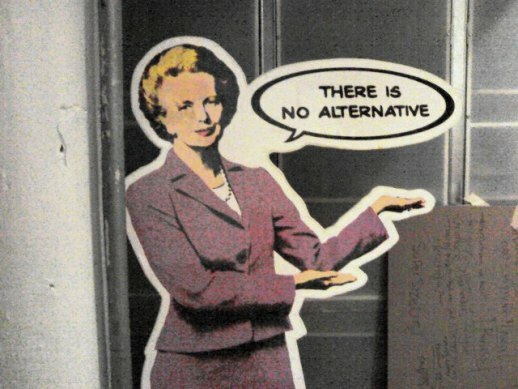 Nevertheless, the arguments made in the 2013 Human Development Report do suggest that the wheel is finally turning within liberal thinking, away from the neoclassical orthodoxy, which has informed development policy since the 1980s, back towards some of the ideas that dominated the debate in the immediate post-war era. It is interesting to note that the headline quotes that precede each chapter of the report include both John Maynard Keynes and John F. Kennedy. Of course, what is very different from the post-war era is the position of leading states in the Global South within the contemporary geopolitical balance of power. Nevertheless, if the ideas and alternative experiences of the global South are to have any significant impact on dominant thinking on development there will need to be some significant changes in both the material and ideational structures of the global economy.